This youth desk is a great addition to any child's bedroom. It features three storage drawers and one pull out key board tray. Every child wants their very own desk to do their homework, work on the computer and keep their things organized. Pair with the hutch for an extend storage area. The Versaille Youth Desk by New Classic at Michael's Furniture Warehouse in the San Fernando & Los Angeles area. Product availability may vary. Contact us for the most current availability on this product. 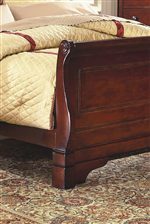 The Versaille collection is a great option if you are looking for Traditional furniture in the San Fernando & Los Angeles area. 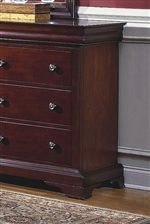 Browse other items in the Versaille collection from Michael's Furniture Warehouse in the San Fernando & Los Angeles area.